The most important elements to a successful project are your voice and satisfaction. Over the course of a project, we will work closely together to ensure that your vision materializes in a practical, functional and efficient manner. Your experience working with us will be kinetic, rewarding and enjoyable; after all, you’re not just designing a structure, you’re designing a lifestyle. We – as well as our team of selected professional engineers – are your partners. Our design process is collaborative and creative with frequent and regular communication so that in the end, you feel like you were an equal contributor to your building. There must be a purpose that coincides with every design assessment that is formulated during the process. We take pride in every architectural design project and strive to design a built environment that fuses design aesthetic with optimized functionality. We work with budgets of all sizes to maximize design output and deliver a finished product in a timely fashion. Fort Collins Architect Aller Architects PC experienced in residential and commercial architectural design , site planning and urban development. Architects in Fort Collins offer commercial architectural design, interior design and urban design. Aller Architects, PC in Fort Collins Colorado, is an architectural firm specializing in townhome design, house design, site selection and student housing architecture. 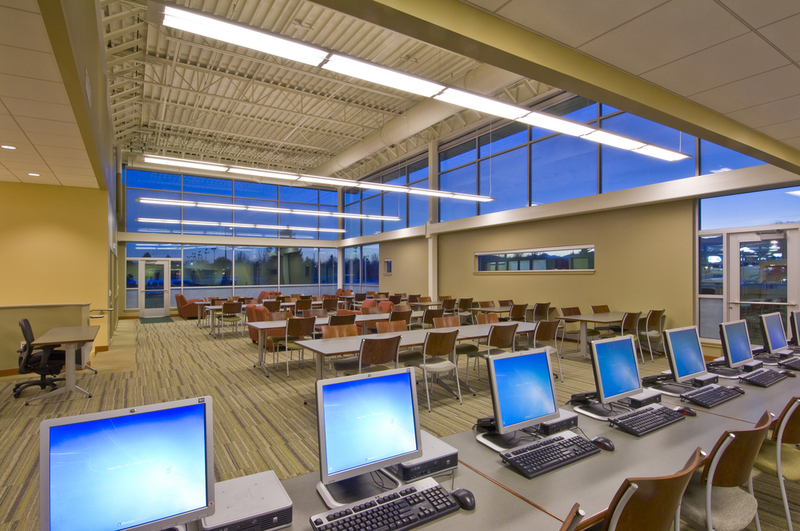 Classroom and laboratory design are just a few of the architectural projects Aller Architects PC in Fort Collins offers. A Fort Collins architectural design firm's design project: athletic facility design at Colorado State University. Northern Colorado home design and site planning firm Aller Architects PC. Mick Aller, principal architect and owner of Aller Architects PC, is passionate, creative and above all, experienced in architectural design and planning. Upon obtaining his Master in Architecture from the University of Michigan, Mick moved his family to Fort Collins in 1981 (when the population was less than 60,000!) and co-founded Aller-Lingle Architects in 1986. He remained President and CEO for nearly 30 years. In 2015, he chose to return to his grass roots and form a solo venture dedicated to quality, customer service and exceptional design. Aller Architects PC is a residential and commercial architect serving all of Northern Colorado. What matters most to Aller Architects is that each and every customer interaction is authentic, collaborative and tailored to the client’s needs. We realize that every project is unique and each client has a different set of requirements and expectations. We take great strides to ensure that the client is in the driver’s seat as much – or as little – as they choose to be, while Aller Architects and the project team of experts are readily available to provide as much advice and direction as requested. It means that you’re a true partner in your building process. It means that you have a firm that listens to you and will translate your ideas and goals into a project that meets your needs while integrating the highest level of creative design and functional standards. As a partner, you can be assured that your structure will be successful and you will ultimately be as proud of the outcome as we are. First and most importantly, you immediately become an integral part of our team of experts and advisers. Our project kick-off meeting will get you acclimated to the design process and your team members. Together we will establish clear goals, guidelines, and expected outcomes. This includes clarifying your budget and developing a timeline with well-defined mile stones. Our next meeting(s) are dedicated to reviewing design concepts, site plans, and initial vignettes. Through more collaboration and fine tuning we will craft a project vision. From that point forward, our team will meet with you regularly and frequently to ensure that your input is incorporated throughout the design process and we remain on budget and on schedule. Have a project in mind? Let's talk about and see if we're a good fit for one another. No risk and no commitments. Please list your company name. If this is a residential request, please write "residential." Tell me a little more about your project in mind.